Newcastle manager Rafael Benitez: "I have confidence in this group of players and hopefully we can start winning games soon." 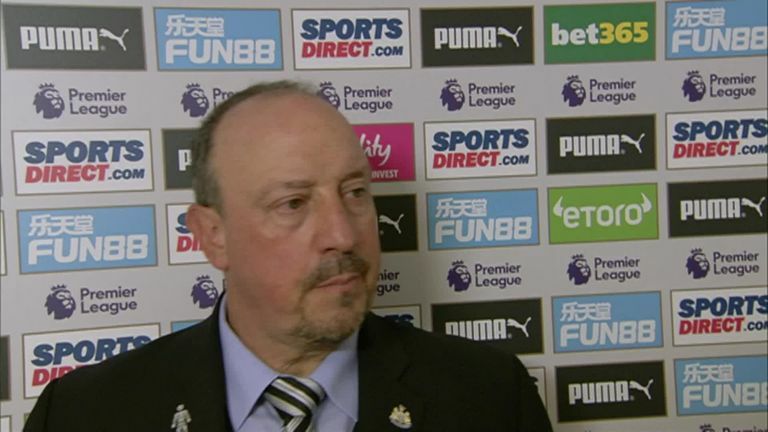 Rafael Benitez is confident his players can turn things around soon after Newcastle suffered a 2-1 defeat to Arsenal at St James' Park. 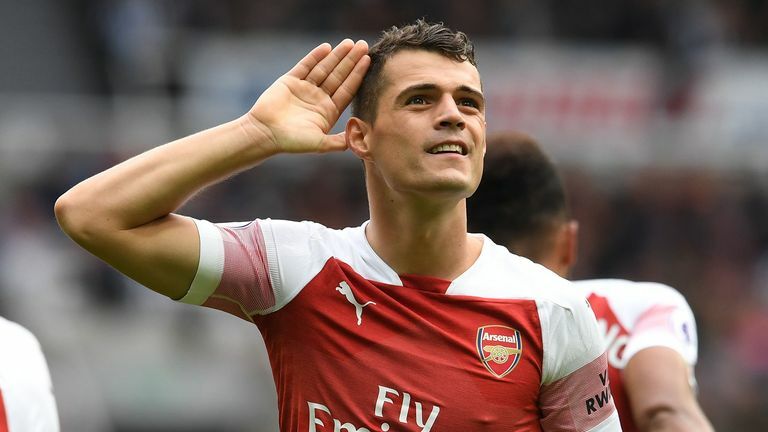 Second-half goals from Granit Xhaka and Mesut Ozil condemned Newcastle, who grabbed a consolation goal through substitute Ciaran Clark, to their fourth defeat of the season. One point from their opening five games represents Newcastle's joint-worst start to a Premier League campaign but Benitez is positive his side will start winning soon. "Obviously we are disappointed because in the first half we did really well and deserved more," he told Sky Sports. "We were very close so the team is doing well in terms of organisation and in terms of work rate. "We were much better on the ball, especially in the first half but still we have to improve that and keep the spirit. That is the key because we had this situation last year where we are losing games in a row and we finished 10th. Newcastle's start to the season has been a relatively tough one with games against Tottenham, Chelsea, Manchester City and Arsenal in their opening five games. 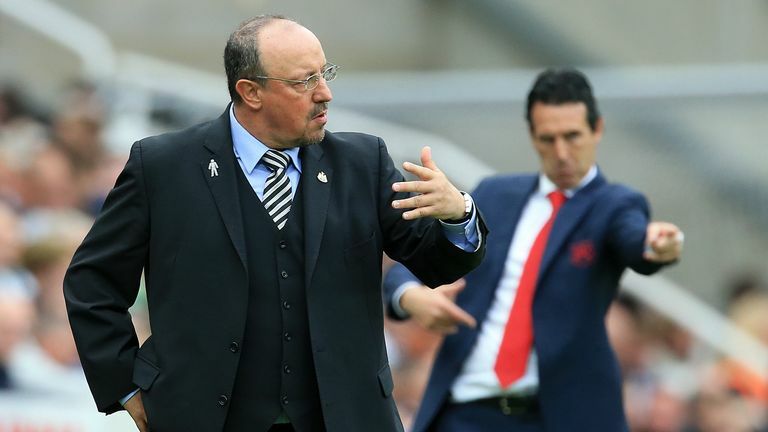 Their only point came in a 0-0 draw at Cardiff and with games away at Crystal Palace and at home to Leicester coming up, and Benitez thinks they will pick up more points if they can replicate their first-half performance against Arsenal. He said: "It's a pity after all these good things in the first half you concede two goals early in the second half, two moments of quality that make the difference. "It was very difficult for us to react after this and when we scored the goal it was too late. When you play against a good side they have quality, they have pace and as soon as you make mistakes you pay for that. They told me they had two shots on target and they scored two goals. These things can happen when you have a good team in front of you. "We have to realise that any team in the Premier League is very difficult for us. You can say these five teams at the top of the table were very dangerous but Crystal Palace, Leicester and Manchester United will be dangerous too. We will try to do things in the way that we did in the first half and we will have chances if we do that." Benitez lost skipper Jamaal Lascelles at half-time after he had tried to run off a recurrence of an ankle injury sustained during the warm-up, although the extent of the damage is not yet clear. "He twisted his ankle in the warm-up," Benitez said. "He said he was fine but afterwards it was a problem for us because we were making one substitution already. "In the second half when you concede two goals you need to change something but we were a little short of options. As soon as you have made one substitution already you can't react too much."